PAX BRITANNIA: Jonathan Green signing at The Yellow Book Bar in Brighton, this Sunday, 16th July! 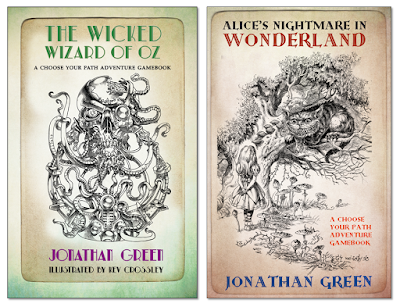 Jonathan Green signing at The Yellow Book Bar in Brighton, this Sunday, 16th July! Rather short notice, I know, but I am delighted to be able to inform you that I shall be at The Yellow Book Bar, Brighton, from 10:00am on Sunday, 16th July 2017. 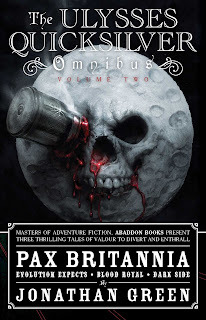 I shall be selling and signing copies of my second Pax Britannia steampunk omnibus, as well as my steampunk-inspired ACE Gamebooks, Alice's Nightmare in Wonderland and The Wicked Wizard of Oz! It's not often I get down to the south coast, so if you're in Brighton, do pop along and say hello, or even better buy a book and get it signed.